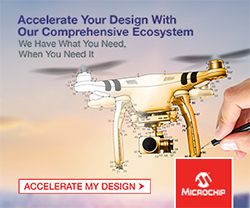 Wi-fi, Bluetooth and Bluetooth low energy connectivity combine with PSoC 6 microcontrollers in prototyping kits by Cypress Semiconductor, designed for IoT development. 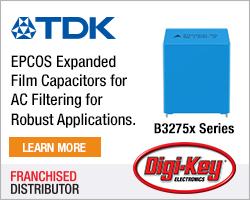 RS Components offers two PSoC 6 prototyping kits from Cypress Semiconductor. One is for wi-fi and Bluetooth IoT development and the second is for Bluetooth low energy-based IoT applications. The kits offer a low-cost hardware development platform that enables designs based around the low power, dual core architecture Cypress PSoC 6 microcontroller. 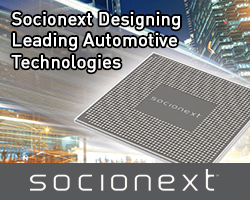 The PSoC 6 microcontroller integrates built-in security, up to 2Mbyte of flash memory and 1Mbyte of SRAM, with an Arm Cortex M4 for high-performance tasks and a Cortex-M0+ for low power tasks, on a single chip. The PSoC 6 wi-fi-/Bluetooth prototyping kit combines the PSoC 6 microcontroller with connectivity via an on-board module hosting the Cypress CYW4343W combo chipset, which provides 802.11b/g/n wi-fi and dual-mode Bluetooth 4.1 connectivity. The kit provides a snap-away form factor, giving developers flexibility to use different peripherals to design and prototype IoT applications. 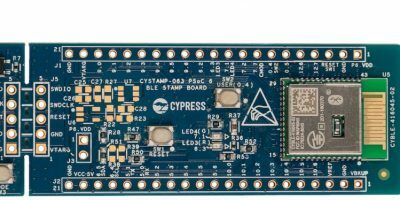 It also offers Cypress’ CapSense capacitive touch sensing technology, as well as a 512Mbyte quad-SPI NOR flash device, a MicroSD card slot, and a Digilent Pmod interface. The second option is the PSoC 6 Bluetooth low energy prototyping kit, which provides the CYBLE-416045-02 EZ-BLE Creator Module (based on the PSoC 63 microcontroller). This module is certified for Bluetooth 5.0 and provides a programmable device for developers to add Bluetooth connectivity to IoT designs. It comes with a royalty-free Bluetooth low energy stack and provides 36 general purpose I/Os in a 14 x 18.5 x 2.00mm package. The kit is also designed with a snap-away form factor to separate the on-board programmer and debugger (KitProg2) from the target board. It also provides a mikroBUS interface allowing for the microcontroller to interface with any of MikroElektronika’s click boards. Both kits are shipping now from RS Components in the EMEA and Asia Pacific regions.